Dorothy Garipoli of Dumont passed away on January 24, 2019. 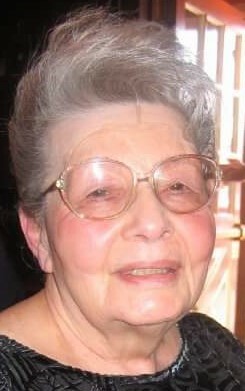 Beloved wife of the late Louis J. Garipoli. Loving mother of Louis P. Garipoli and his wife Michelle, Karen Garipoli, and Constance Garipoli. Dear sister of the late Rose Staropoli. Cherished grandmother of Richard and Daniel and great grandmother of Thalia, Faith, Juliette, Isabella, Sienna, and Allessia. Visiting Tuesday 2-4 and 7-9 PM at Riewerts Memorial Home, 187 So. Washington Ave. Bergenfield. All will gather at the funeral home on Wednesday at 8:30 AM for the Funeral Mass at St. Mary’s R.C. Church, Dumont at 9:30 AM. Interment Westwood Cemetery, Westwood.